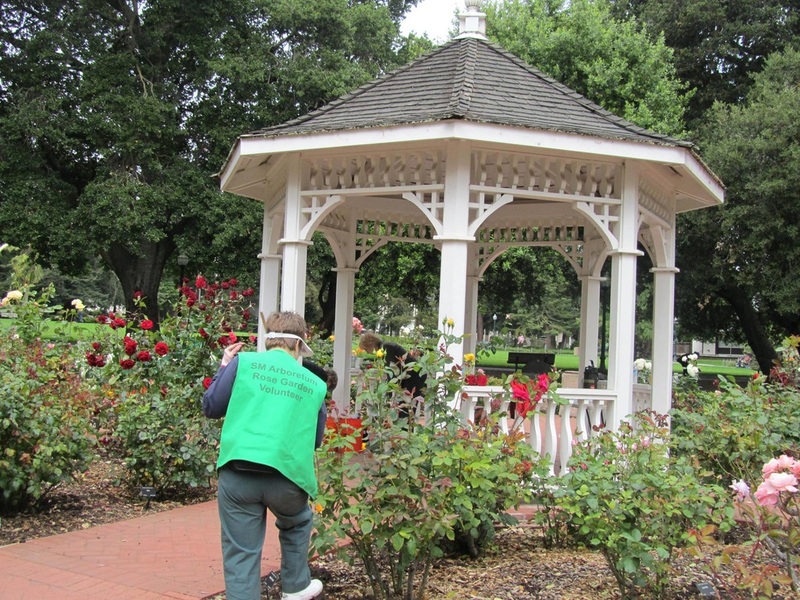 SMAS is a “member and volunteer powered” organization dedicated to the preservation of San Mateo’s rich horticultural heritage. Our headquarters and most of our activities are focused around the Kohl Pump House area in Central Park. ​Our mission is horticultural education and our passion is connecting people and plants to enhance the community. The Master Gardeners will resume their clinics in February 2019 Their 2019 clinic dates will be 03/03, 04/14, 05/05, 06/02, 07/14, 08/04, 09/08, 10/06, and 11/03. They will be available to answer your questions from 11:00 an to 2:00 pm. MORE 2019 INFORMATION ON THE CLASSES & EVENTS PAGE! ​In this hands-on workshop birdhouses were decorated for the local birds to make their new homes. The participants learned about the local birds that might start their house keeping. Bronze bricks will be available soon. Look for information and pricing after the first of the year! SMAS has installed park benches on the backside of the Butterfly - Hummingbird Garden, facing the lawn area in the middle of Central Park. The plaques have been added to the benches. 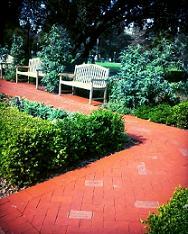 Like our bricks these benches are Tribute Benches and memorialize friends, families and loved ones. The proceeds for the seven benches has been put into the Pumphouse Renovation fund. Thank you to everyone who purchased a bench! Donations are tax exempt under IRC section 501(c)(3), federal tax ID #51-0178003. Annual membership dues help to fund the excellent educational functions provided to the public. Volunteers provide the work for all our activities and functions. Expert skill level is not required – simply a desire to contribute to the Arboretum Society’s objectives. Tuesday, Thursday: 10:00 am – 2:00 pm. Tuesday, Thursday: 10:00 am – 12:00 pm. Due to rain 0ur open times may occasionally need to be different than above, so don’t hesitate to call us before coming. The historic Kohl Pumphouse and Victorian Garden are available for small group rental. For more information, click here. SMAS Board of Directors has been working hard on Phase One of the renovation of the Kohl Pumphouse. The wall have been painted, new blinds are on the windows, a new floor replaces the old carpet in the conference room, and the new sliding door to the kitchen and lighting system will be installed this month. In June we hope to launch a fundraising campaign to finish the renovation. Please come back to the website to see how you can help. The San Mateo Arboretum Society thanks Edmond's for the generous weekly plant donations that help fill our greenhouses and nursery. ​The San Mateo Arboretum Society thanks Tom Perlite of Golden Gate Orchids for the vast array of orchids donated to our greenhouse. Stop in and see what the Greenhouse Volunteers have been creating. Fun things for small places. The Greenhous Volunteers have also been busy propagating and planting lots of succulents. ​Stop in and see all the new creations.